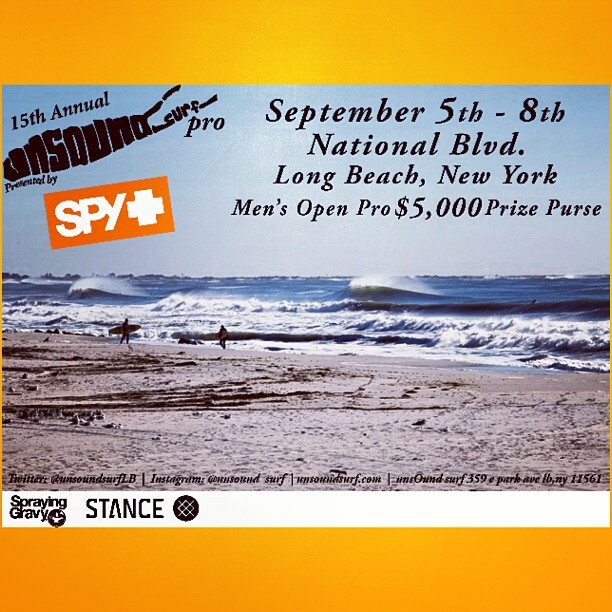 The unsOund Surf Pro Presented by SPY Optics is coming this week from September 5-8th. They are stoked to put on an event in Long Beach, NY after the tough year everyone has had after Superstorm Sandy. Look for great surfing, fun parties, and big sales at the shop too. Also, if you are daring enough, sign up for the contest here.